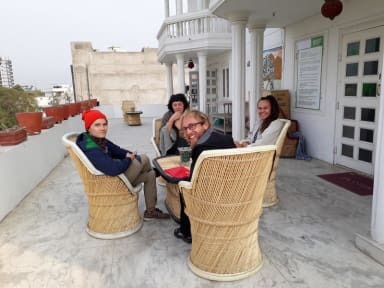 We really enjoyed the stay at Sundeck Hostel in Jaipur. Arif and his family are so warm-hearted hosts. They really took care of us. Melanie thanks for the delicious food. Thanks Arif for your help. Arif was so helpful to get an Indian SIM card. 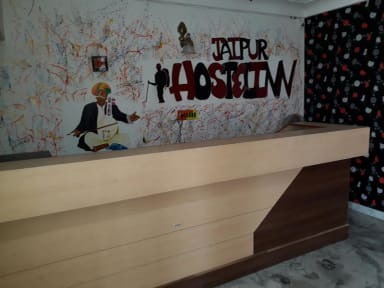 The hostel is in a quite area of Jaipur. But public transports (Metro) are not far from the hostel. 5 min walk. Rooms, common rooms and bathrooms are clean. Arif and his family are such warm hearted people. It feels more like home than a hostel. Everything was clean, communication was easy and it is a very safe place in a quiet neighborhood. I can definitely recommend this place. Nice big old villa with a great balcony to chill and enjoy an evening beer. Staff is very friendly and helpful. Good breakfast and food options to buy. A bit out of the center but metro station is close and it's easy to get in and out of the city.